EASTLEIGH boss Ian Baird has had a clearout of his squad in the wake of Tuesday's hugely disappointing Blue Square Bet South defeat at Salisbury City. 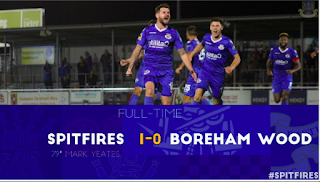 The result dealt a major blow to the Spitfires' already faint play-off hopes - and it's Graeme Montgomery and Richard Gillespie who have felt the backlash. Wideman Montgomery, who went on as a 26th-minute substitute for ineffective midfielder Philip Appiah, was released yesterday morning. The 21-year-old's departure comes just two months after he penned a season-long loan deal following a three-month loan spell from Aldershot Town. He was a regular in the side until the middle of the month, but lost his starting place following the arrival of Daryl McMahon. Baird explained: "I've let Graeme go because of certain things he wasn't doing well enough. "He wasn't best pleased when I told him, but I thought long and hard about it. He wasn't going to get a contract at the end of the season and I just felt we may as well free up some money and free up space on the bench for the likes of young Sam Wilson." As for striker Gillespie, he is returning to Bashley for another month's loan after scoring five goals in the last three games of his previous spell there over Christmas and the New Year. "Gilly wasn't happy that he wasn't playing and he wanted to go back to Bashley to get some games," the boss explained. Baird's resident critics on the Eastleigh fans' forum blame the manager for picking the wrong team on Tuesday. 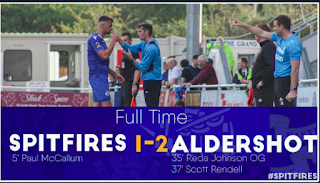 The early substitution of Appiah added fuel to their argument, but Baird believes the real fault lay with Eastleigh's wastefulness in front of goal. "We set ourselves up to be attacking by starting the way we'd finished at Hampton on Saturday (a 4-0 win)," he said. "Unfortunately it was one of those evenings when it didn't work, but there's a Rizla-fine line between success and failure in football and we've paid the price for not taking our chances. "The players know they didn't play well. We missed three good chances in the first half, their goal was an error from goalkeeper Jack Dovey and in the second half we didn't deserve it. We let ourselves down. "Was it my fault? I don't think so. "Even though I may have picked the wrong side, Bradley Bubb's hit the post, Jamie Slabber's hit the bar, Bubb's missed a one-on-one and Montgomery's missed an open goal." 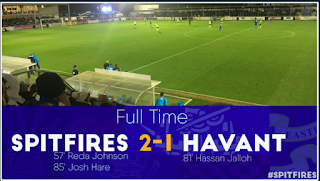 "We have to take in on the chin and move on, but Salisbury are full-time and had seven players out there who've played in the Conference Premier. People forget that." Regarding ex-Farnborough man Appiah's early substitution, Baird said: "He didn't do himself any favours, so we took him off. He's played well before, but he's only a kid of 22 and if things don't go right he loses himself a bit." Eighth-placed Eastleigh, still nine points off play-off pace, hope to put things right at home to mid-table Truro City tomorrow. Chris Flood is out for a fortnight with thigh trouble and Gary Elphick has a hamstring niggle.